The Alltech stills that have been producing malt spirit in Carlow for the past year are moving to Dublin. 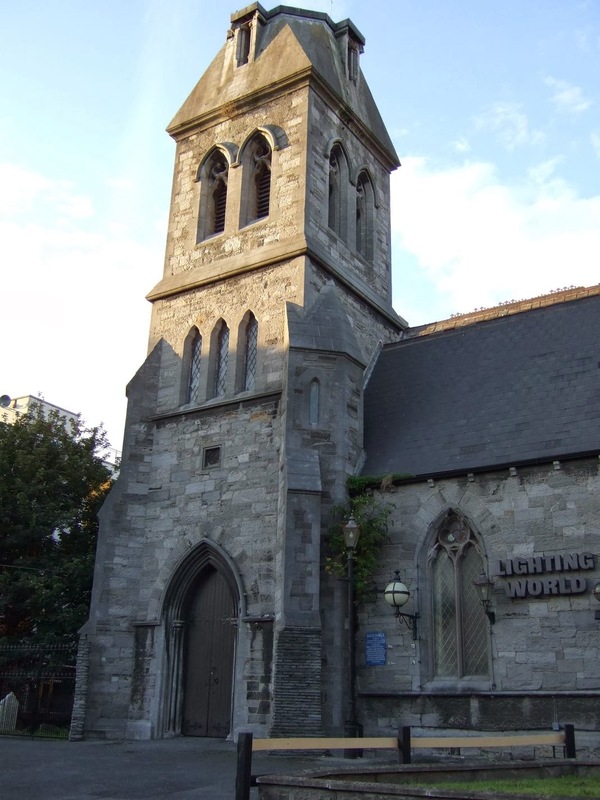 Dr Pearse Lyons, Alltech's owner, has announced he is buying a former church on James's Street (view on Google Maps). I took a few snaps of the location yesterday as the sun was going down. It's a small Gothic Church, built in 1859-60. The tower looks truncated because its spire was removed in 1948. 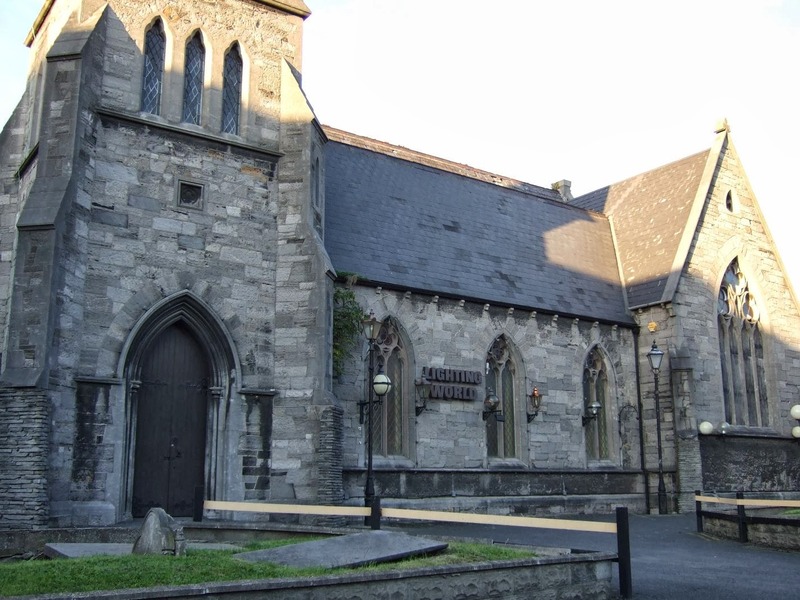 Once Church of Ireland, it was converted to commercial use some years ago. Redevelopment as a distillery depends on a successful application for planning permission. Since the site directly abuts the enormous Guinness brewery, it must surely stand a good chance. 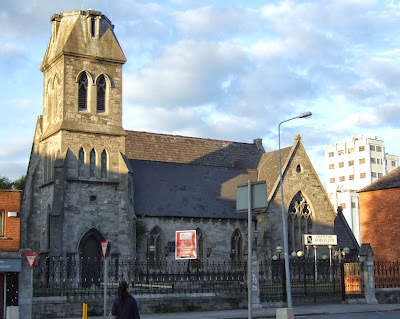 Also James's Street is the continuation of Thomas Street, which was formerly home to two distilleries, George Roe and Powers, the last of which only closed in 1976. It will give efforts to regenerate Thomas Street a hefty boost. It's only a stone's throw too from the Guinness Storehouse, Ireland's most popular tourist attraction, getting over a million visitors a year. Alltech have yet to name the whiskey that they are currently laying down in Ireland. At a couple of recent events they have been soliciting suggestions from the public with a case of the spirit as a prize. I can't find any mention of the competition online but if it appears I'll post the link on Twitter.